Quick Aim 16.1 - Core Applications - Event 1 Software, Inc. Physical product, not available for download. This is a 295 page, spiral bound book with color-coded tabs for each section. 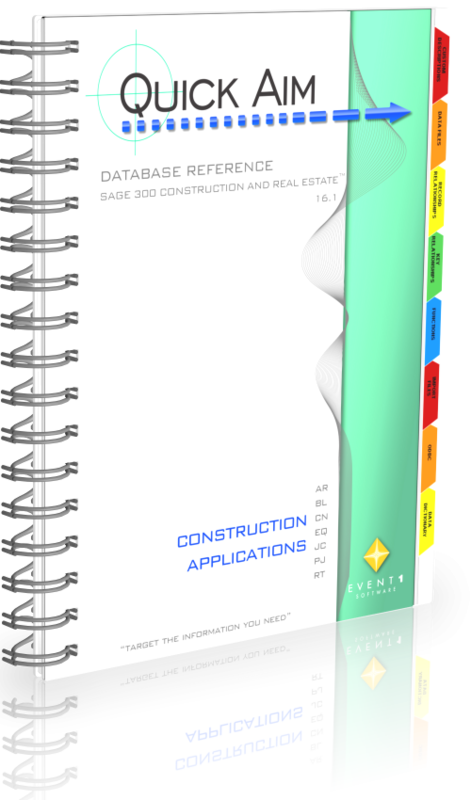 Covers the following Sage 300 Construction and Real Estate applications that are common to both the construction and property management industries: Address Book, Accounts Payable, Cash Management, General Ledger, Information Assistant, Payroll, and Tax.